Colonel Sanders had not an easy childhood, as many other kids. He learned how severe life can be from a very young age. He started his work career at the age of 12, as a farmer boy and changed several different jobs until he got 16. At this age, he left home and joined the American army falsifying his birth date. After completing his army commitment in Cuba, he began working again whatever he could to make a living. In his 40s, Sanders had a gas station in Cobrin. He began offering chicken meals to his customers to increase their satisfaction. He was serving the food at his own dining table. His cooking was really tasty, and soon people started visiting him only to have a tasty chicken meal. Here is how everything started. Experiencing a growing demand for his dishes, Colonel opened a restaurant on the road with more than 140 seats. He developed a secret cooking recipe with 11 secret spices and the technique for preparing the food, which is used today. Everything went well for the next decade, but his business didn’t expand very much. However, he was making a good living and was slowly gaining popularity. 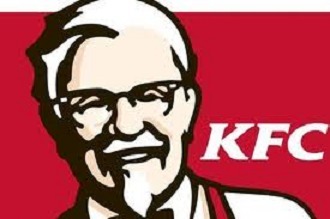 At the age of 60, 1950, Sanders began building his trademark – his face with goatee and glasses, that can still be found on any KFC’s product. When he was 65, a new highway was opened – The Interstate 75, which was more convenient for travelers, than the small road, where Colonel’s restaurant was. His sales quickly shrank and he found himself on a pile of debt, that he had to pay with much less income. This crashed his business and he was forced to sell the restaurant to pay the debts. At 65 he was poor again, living on his pension checks amounting a hundred dollars monthly. Sanders’ business completely crashed, but he didn’t give up. In 1952 he came to the idea to sell his secret recipe to other fast food businesses. This happened to be a wonderful and very profitable move. He was driving across the country, cooking chicken meals for food business owners. If they liked the meal, he got a contract to be paid just 5 cents for every fried chicken sold. Slowly Colonel got back in the game. After a couple of years, he had more than 600 franchises selling his meals. At the age of 74, 1964, The Kentucky Fried Chicken Corporation was sold for $2 000 000 dollars to a group of investors headed by John Brown Junior. Sanders kept the Canadian franchises for himself and continued the business there. Later he founded the Colonel Harland Sanders Trust and a charity organization with the same name and transferred the business assets there. His thrusts still continue to sponsor some great causes nowadays. As far as The Kentucky Fried Chicken Corporation is concerned, it went public in 1966. A majority share of the company was acquired by Heublein Inc. for 285 million, in 1971. In 1986 Kentucky Fried Chicken Corporation was bought by Pepsi for 840 million dollars. Today Kentucky Fried Chicken Corporation is the most famous chicken restaurant in the world. Every day more than 12 million customers, from more than 100 countries have a delicious chicken meal made with the same secret recipe, that Colonel developed several decades ago.